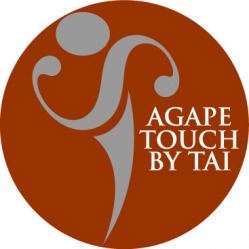 Our mission at Agape Touch By Tai is to create an unconditionally loving environment where everyone feels welcome, nurtured, and supported through the restorative and healing art of massage. Agape Touch By Tai works directly with physicians to utilize massage as a complementary therapy for clients managing chronic illnesses such as cancer, sickle cell, and HIV/AIDS. Agape Touch has also been instrumental in reintroducing healthy touch to victims of domestic violence. We are committed to servicing the community, healthcare facilities, battered women’s shelters, caregivers, educators, and any individuals seeking massage to support a healthy lifestyle. Agape Touch By Tai encourages ﻿referrals from those who provide care for individuals that would benefit from receiving healthy touch and we offer sliding scale fees and income based scholarships to individuals experiencing financial hardships. Thanks to the consistent support of clients that are capable of paying standard market rates, we are able to offset massage service fees for clients who can only pay very little or not at all. ﻿"I offer therapeutic massage services that support a healthy lifestyle, preventative health and wellness, chronic pain and stress management. I also offer discounted services to Seniors, Educators, Individuals living with chronic pain from illness and their caregivers, and Nonprofit organizations.